EXTRAORDINARY video has emerged of ill-fated passengers boarding the Lion Air flight JT610 about an hour before it crashed, killing all 189 people on board. 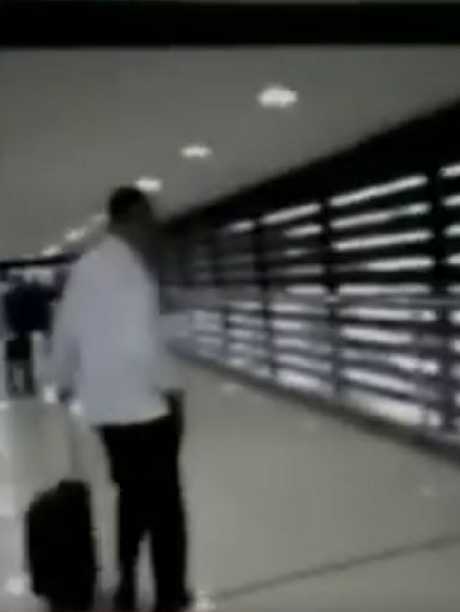 Paul Ferdinand Ayorbaba, one of the passengers on Monday's flight from Jakarta to Pangkal Pinang, filmed fellow travellers stepping onto the Boeing 737 MAX 8 with no idea it would be their last flight. The chilling video comes as Indonesian officials say they are convinced pings detected at sea are from the black box flight recorder, which is likely to help investigators understand what happened to the 181 passengers and eight crew on the doomed 13-minute flight. 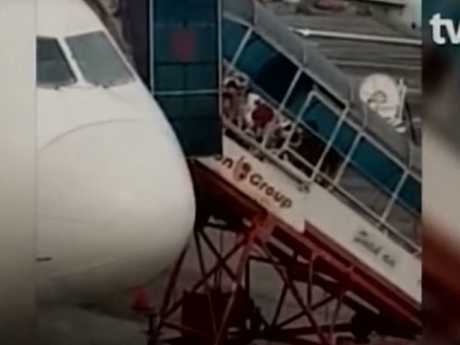 In the video, passengers are seen walking in an orderly queue through the domestic terminal at Jakarta's Soekarno-Hatta International Airport and climbing the stairs before disappearing inside the plane. 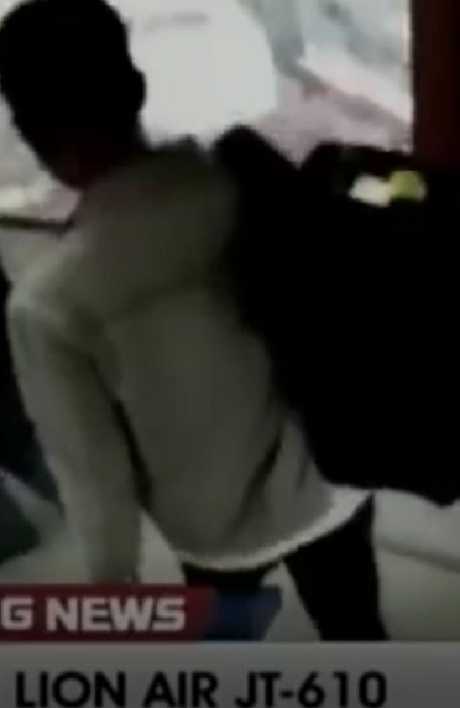 A video filmed by passenger Paul Ferdinand Ayorbaba shows people boarding Lion Air flight JT610. One of the passengers boarding the plane. 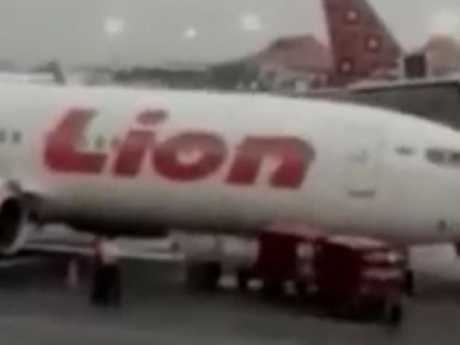 Mr Ayorbaba captured the waiting Lion Air plane in its trademark red and white on the tarmac and panned to a another Lion Air jet in the distance. At another point in the video, he zooms in on his boarding pass, with a chilling close-up of the flight number JT610. Mr Ayorbaba, who travelled often around Indonesia for business, shared the video on WhatsApp with his wife, Inchy Ayorbaba, the Associated Press reported. "It was his last contact with me, his last message to me," she said in an interview with Indonesian TV. 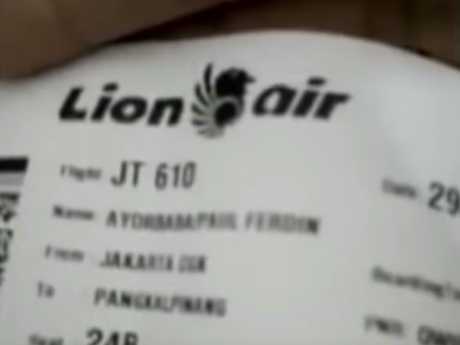 The video shows Mr Ayorbaba’s boarding pass bearing the JT610 flight number. The flight was only meant to take one hour. Mrs Ayorbaba was interviewed at a police hospital where she had taken the couple's three children for DNA tests to help identify her husband's remains. She said he uploaded the video about half an hour before takeoff, but she didn't see the message until 6.30am local time - and didn't watch it at the time. Flight JT610 took off from Jakarta at 6.20am and within three minutes, pilot Bhavye Suneja asked air traffic control for permission to turn around and return to Jakarta airport, presumably because something was wrong with the plane. The plane lost contact with air traffic control at 6.33am, when it was believed to have dramatically plummeted into the Java Sea at high speed. 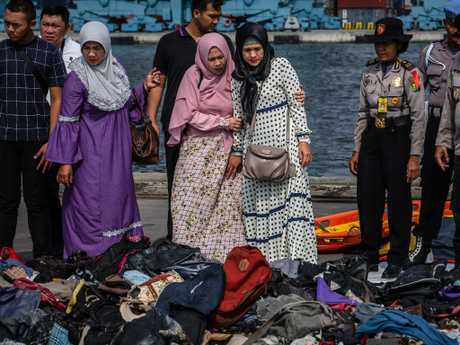 Mrs Ayorbaba said it was about 9am when she heard news of a Lion Air plane that crashed en route to Pangkal Pinang, where her husband was heading. That's when she finally watched the video he had sent her. "I went back to watching the video," she said. 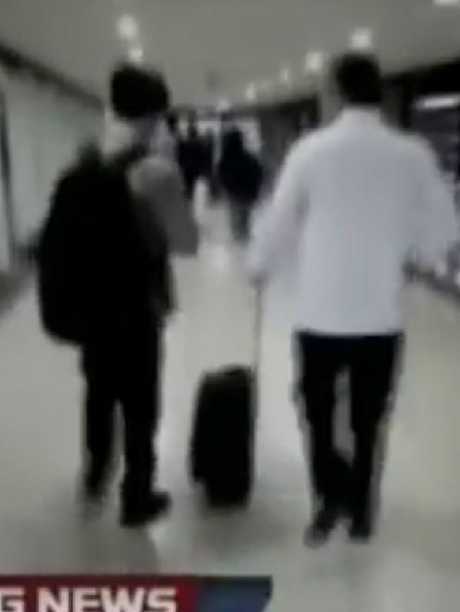 "I saw his boarding pass he showed in the video. I started to believe he was in that crashed plane. "I kept calling him, sending WhatsApp messages, hoping that he didn't go, or something made him cancel his trip but there was no answer." 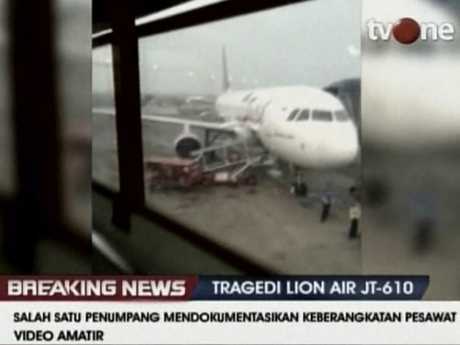 Meanwhile, Lion Air announced it had sacked its technical director in the fallout from the airline's deadliest plane disaster. The low-cost carrier gave no reason for the decision but said in a news release it was made at "the instruction and the decision of the transportation ministry". 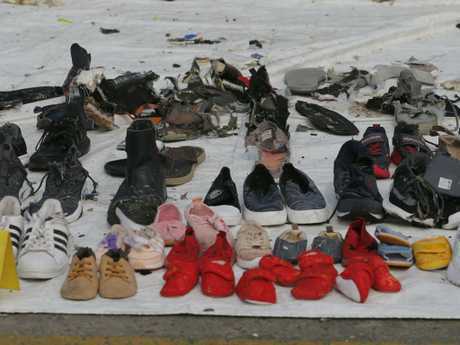 It comes as the head of Indonesia's National Transportation Safety Committee said search crews had detected pings believed to be from the plane's black box. 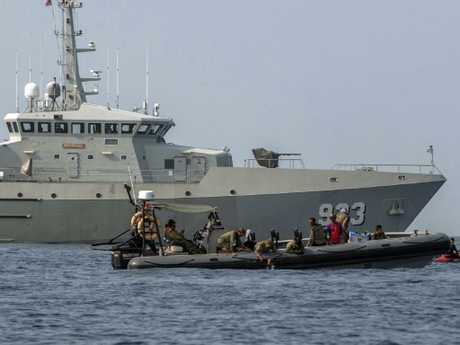 Soerjanto Tjahjono said the pings were definitely from black box because of their regular pattern and other possibilities have been ruled out. 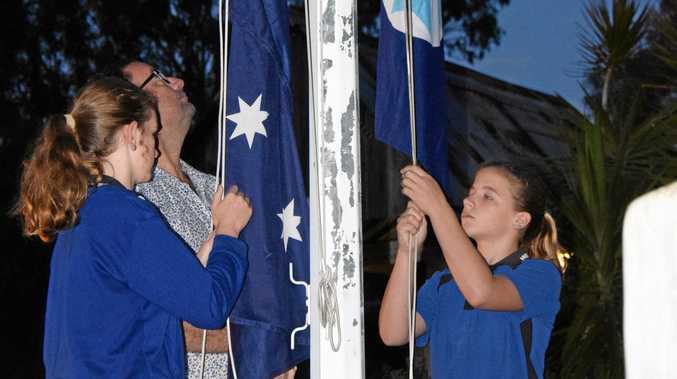 It's more hope for loved ones of victims, who had an unexpected setback after search crews confident they had found the location of the crashed plane's fuselage came up empty-handed. Experts believed yesterday they had finally found the fuselage - the main body of the aircraft - but instead, the 22m-long object detected on the sea floor turned out to be aircraft debris and passenger belongings. The recovery of the fuselage and crucial black box recorders will help explain what happened after flight JT610 took off from Jakarta airport. The black box recordings will be checked against from Flightradar24 that shows the plane climbing and falling erratically after takeoff, before plunging 1480m in just 21 seconds. 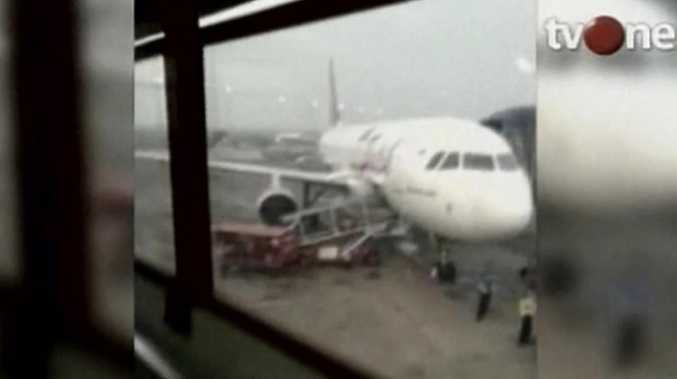 It has since emerged that Lion Air flight JT610 experienced similar issues during a flight from Bali to Jakarta less than 24 hours before its fatal flight on Monday, raising the possibility of mechanical failure. Passengers on the Sunday flight have said soon after takeoff the aircraft began climbing and dropping like a rollercoaster, causing several people to vomit and panic. They also took to social media to complain about issues with the airconditioning and cabin lighting. Aviation specialist Philip Butterworth-Hayes said it was unusual for an aircraft to experience altitude difficulties during takeoff, which was typically controlled by the plane's automatic systems. "This doesn't fit an automatic flight profile," he told CNN. "Unless, the aircraft was trying to correct itself at the time for a number of reasons." Mr Butterworth-Hayes said the Flightradar 24 data showed "an unusually unstable vertical flight profile". "Exactly at the same time as the speed increased there was an altitude dip, which meant that at that point there was quite some loss of control." Major questions are being asked of the Boeing 737 MAX 8, an updated and more energy-efficient model of Boeing's best-selling single-aisle 737 passenger jets. Passengers walk through the airport terminal. The video focuses on the plane.